The aim of our project is to create a multi-cultural garden and festival in Milan where all the diversity can coexist in a place of participation. Culture will be used to activate a socio-cultural transformation and a reflective/participatory processes, empowering migrant communities as co-creators of a sustainable social innovation movement. Multi Kulti Collective has been working on community development, civic participation, solidarity, integration of migrants and refugees and human rights since 2011. It operates both on grass-root and policy level and develops its social enterprise. It is based in Sofia but in 2015 it grew to a social franchise in the 6 biggest Bulgarian cities. 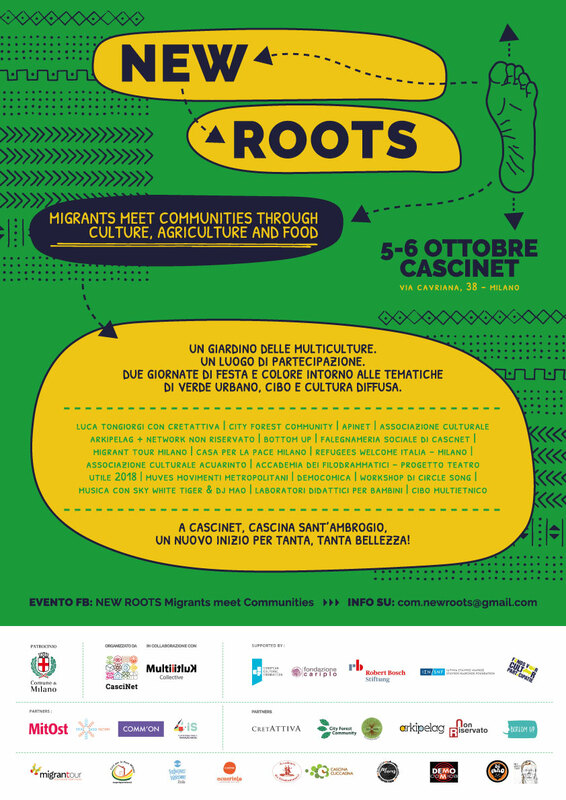 CasciNet is an Agrohub, a hybrid system made up of an association of over 1000 members + a Non Profit agricultural society that cultivates - in organic - more than 9 hectares of land, in Milan. CasciNet holds a thirty-year concession for Cascina Sant'Ambrogio, a historic building owned by Milan municipality - with 13 projects that develop public services!